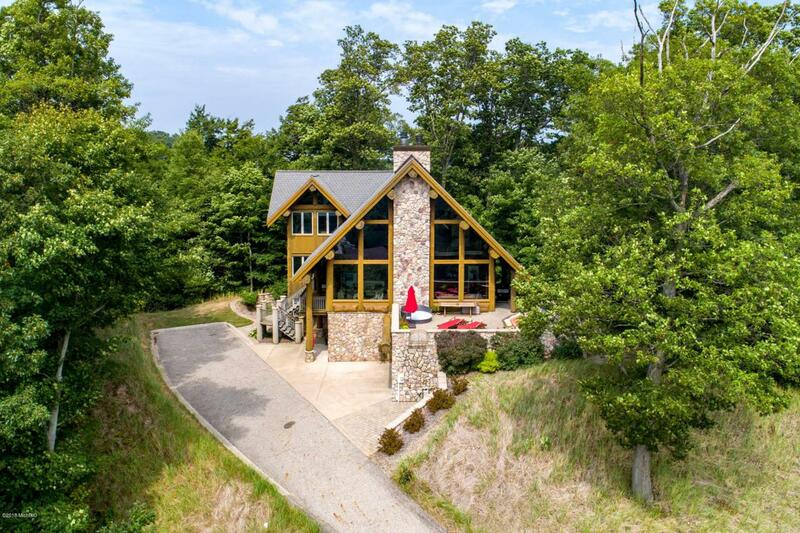 IMPRESSIVE SCANDINAVIAN FULL SCRIBE LOG HOME built with massive round logs~is fully handcrafted & energy efficient all with deeded Lake Michigan Access. 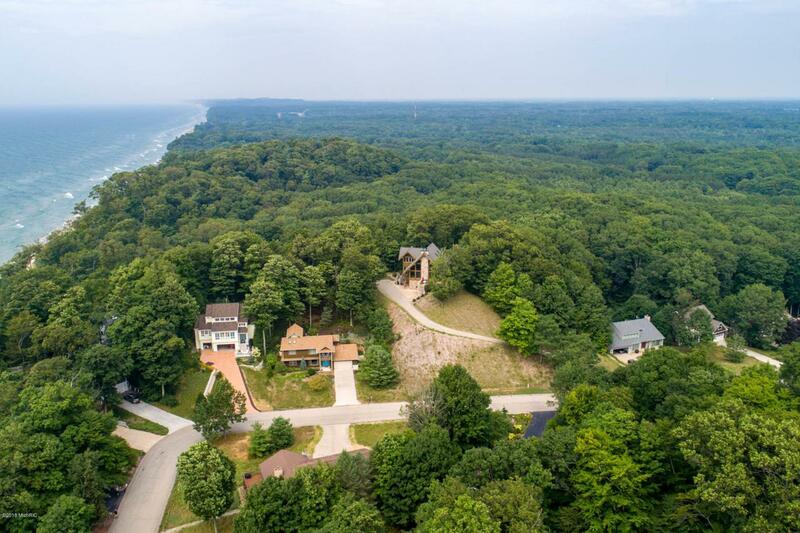 Perfectly situated on top of a dune to enjoy the peaceful serenity, incredible sunsets & breathtaking views of Lake Michigan. This special one-of-a kind home features vaulted ceilings, walls of glass throughout, bringing the outside in to the 3100 sf of comfortable living space. 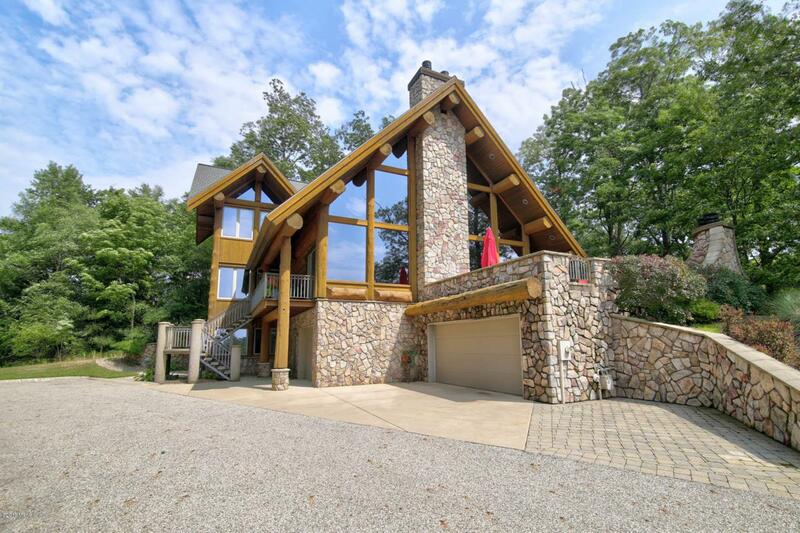 Ideal for entertaining is the spacious 2 story great room w/massive floor to ceiling stone fireplace & dining room. Stunning kitchen boasts new stainless-steel appliances & granite countertops & cozy sun room has beautiful wooded views. 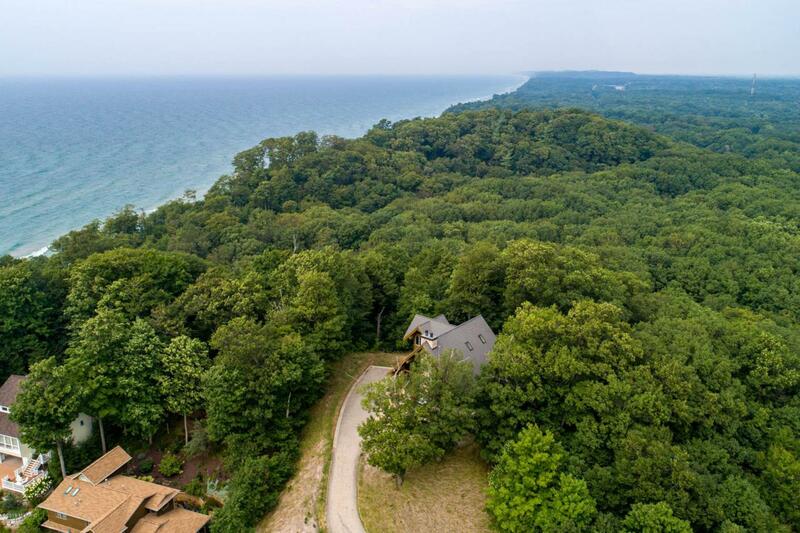 Upper level features office/guest room & Luxury Master Suite w/expansive windows, spacious bath w/stone surround soaking tub &granite topped vanity w/double sinks Two Generous bedrooms & full bath on the lower level. Outdoor viewing deck w/stone fireplace. Natural landscaping. Beach access in Sheldon Dunes Assoc is just minutes away. Call for your private showing.